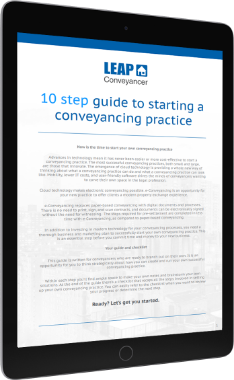 Conveyancing matter types > verification of identity > certificates and searches > electronic contract > e-Signing and exchange > electronic settlement. Save time by accessing all commonly ordered searches from within LEAP, with search fields auto-populated and search results returned directly back to each matter. Quickly create a new matter in LEAP using the eCOS ID from InfoTrack. With a two-point verification process (eCOS ID and Title ID), the data returned is always for the correct property. Save money by avoiding disbursement write-offs using real-time cost recovery. All disbursements are automatically returned to the LEAP matter, removing the manual process of entering cost recoveries.